Prime corner lot, cul-de-sac location w/mtn. 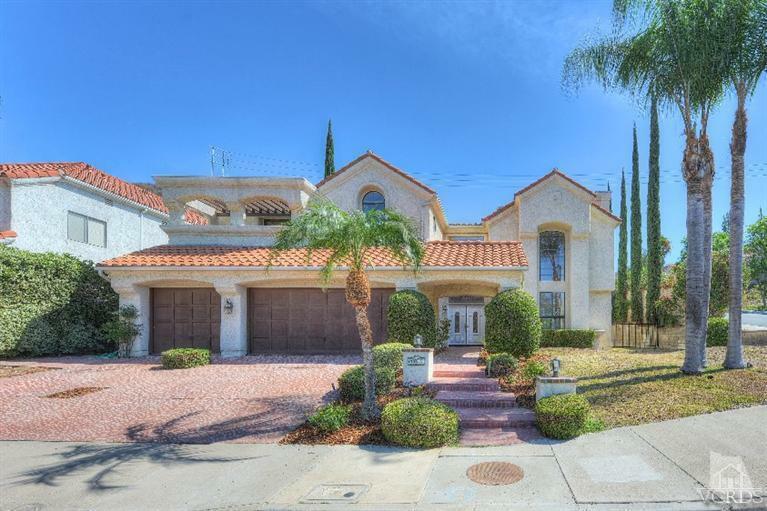 views is this spacious 4BD 3.5BA pool home in desirable Peacock Ridge! Upon entering the double doors, one is welcomed to the spacious living room w/cozy inlaid fireplace, soaring vaulted ceilings, large picturesque windows, hardwood floors, winding staircase & formal dining room w/built-in wet bar. This home features high 9ft. ceilings, new carpets, recessed lighting, alarm system, 3-car garage w/direct access & downstairs full BD/BA. Galley-style kitchen features gas cook-top, double ovens, tile counters, center island, walk-in pantry, window overlooking the pool & leads to the breakfast nook & family room w/fireplace & wet bar. Enormous Master Suite w/sitting area & fireplace, master bath w/dual vanity sinks, large walk-in mirrored closet, sep. tub & shower. Enjoy a glass of wine overlooking 2 master suite balconies, one w/mountain views & one overlooking the secluded, private backyard w/pool, spa & gas fire pit perfect for entertaining.